Please contact me for the next taster session where you will get introduced to the basics of Nordic walking. 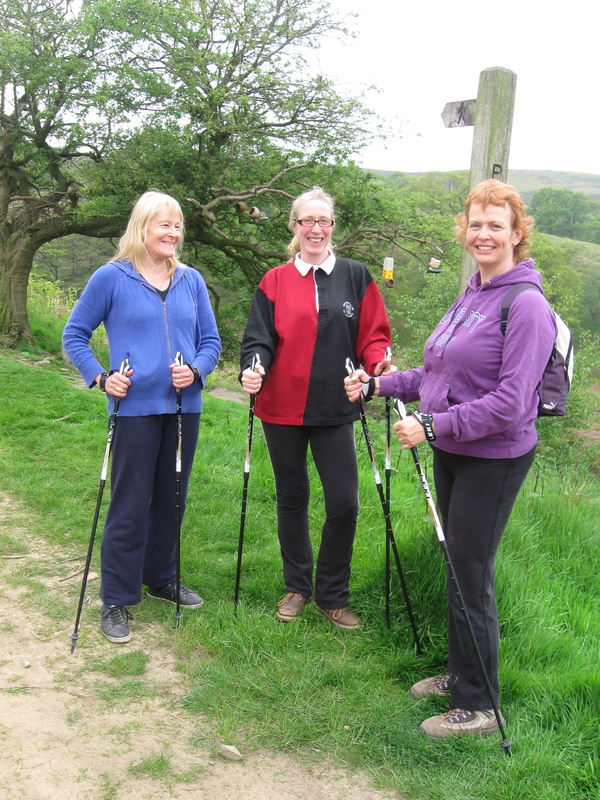 Walks are designed for people to join once they have had a taster session and are familiar with the poles and technique. Winter evening walks are around the streets of Buxton, in the lighter months we explore the Goyt valley and surrounding areas. Please contact me if you are interested in joining us for a walk. Monday evening summer walks approx 7:30-8:45 pm. We generally meet at the Buxton pool, but may car pool on lighter evenings to walks so it is ideal to text or call me if you wish to join the walk and to reserve poles if needed. Friends without poles are always welcome to join us for a brisk walk! We aim to walk between 3-4 miles.